I am indebted to Jane, one of my followers, for pointing out the need for a family tree in order to clarify some of my posts. What began in May 2012 as a record of my days based on walks, has become a much more extensive project, arising out of far more interest than I could possibly have imagined. The blog title ‘Ramblings’ comes from the idea that as I physically ramble along and take notice of what is around me, I also ramble in my head. This brings about much reminiscing woven into current experiences. Memories are not neat and tidy affairs. They pop in and out of one’s head at will. ‘Ramblings’ have become a record of one man’s life as prompted by this aberrant and disorganised memory. My daughter Rebekah has initiated me into the joys of digital links and tags. The computer, you see, is capable of tidying everything up. I am working my way through more than 600 posts, adding these amazing aide-memoires. A comment from Alex Schneideman has also prompted me to tidy up a lifetime’s photographs. My archives are in four forms. There are photographic prints in hundreds of albums dating from 1942. 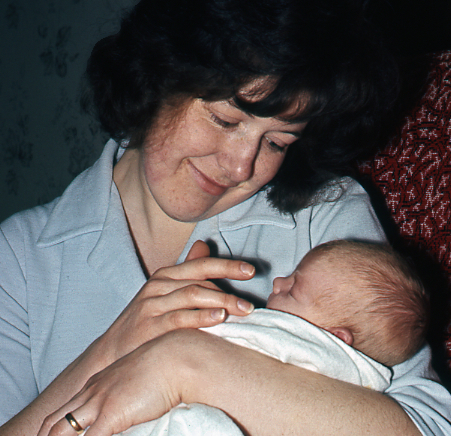 There are boxes of colour slides dating from 1963 to 1981 and again from the first decade of the current millennium. There are albums of negative film covering the hiatus in the colour slides. And finally there are the computerised digital images from the time of the acquisition of my Canon S100 in July 2012. The albums and colour slides, and of course the digital pictures, are correctly filed in chronological order. The twenty years of negatives are the problem. They were kept in the processors’ envelopes with no dates or identification attached. One cardboard box containing these was lost in the move from Newark in December 2006. Whilst at Sutherland Place I began to attempt to sort the remaining collection. That is how they found their way into negative albums. The task of identifying everything on each strip is what I have been procrastinating over for the last few years. Thank you, Alex, for giving me a reason for getting on with this. 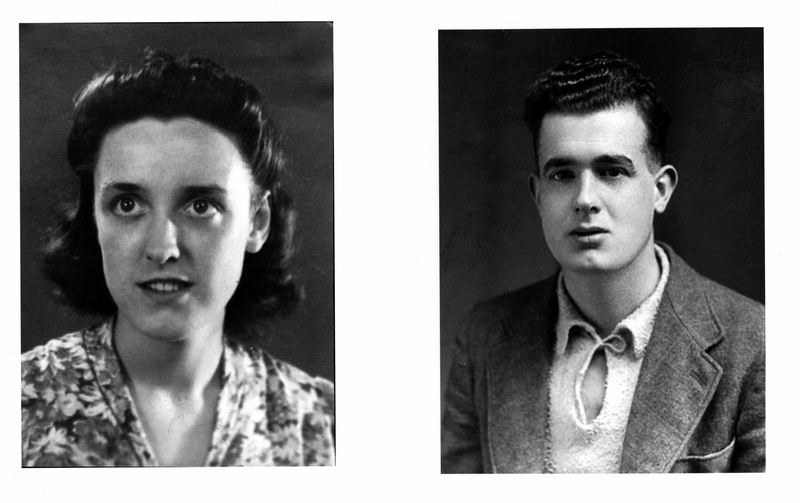 Mum and Dad: Dad died in 1987, three weeks after I moved to Newark. 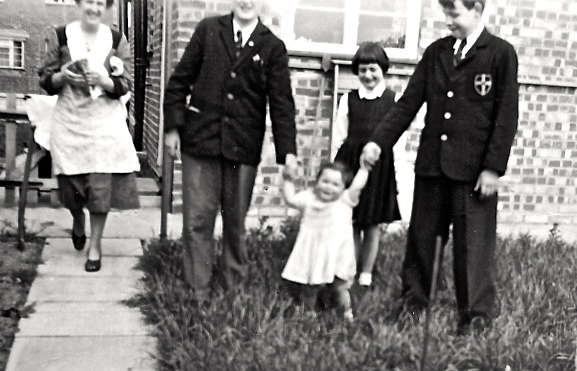 Mum is still alive, and living in West End, near Southampton. 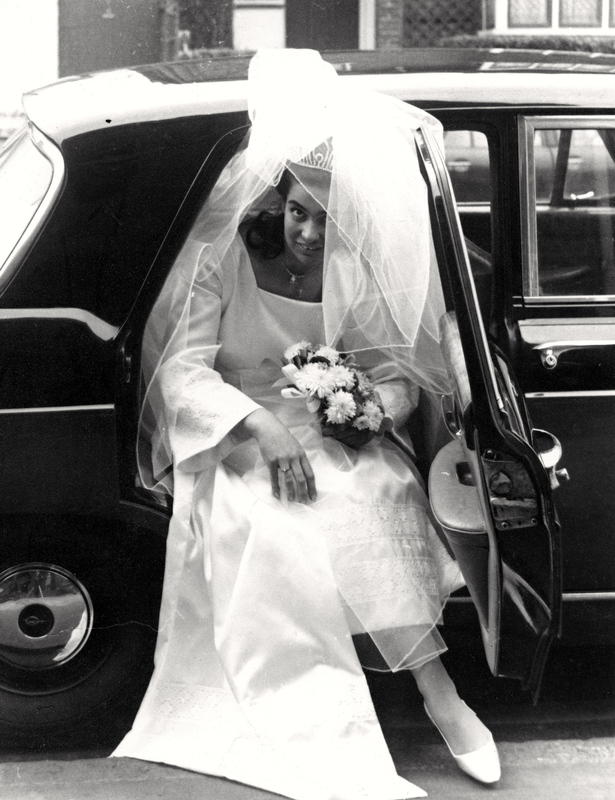 I married Vivien in June 1963. 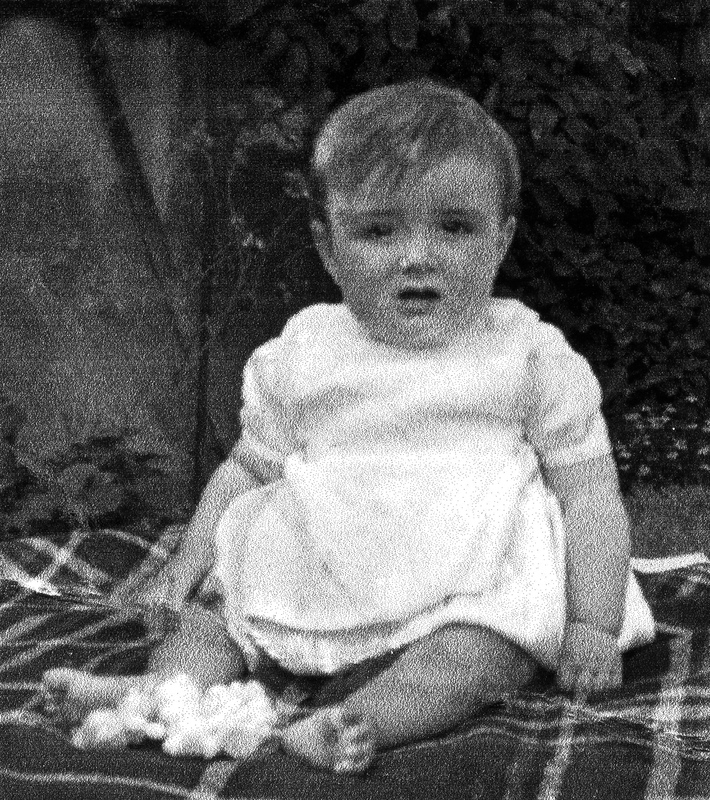 She died in September 1965, having given birth to Michael in April 1964. 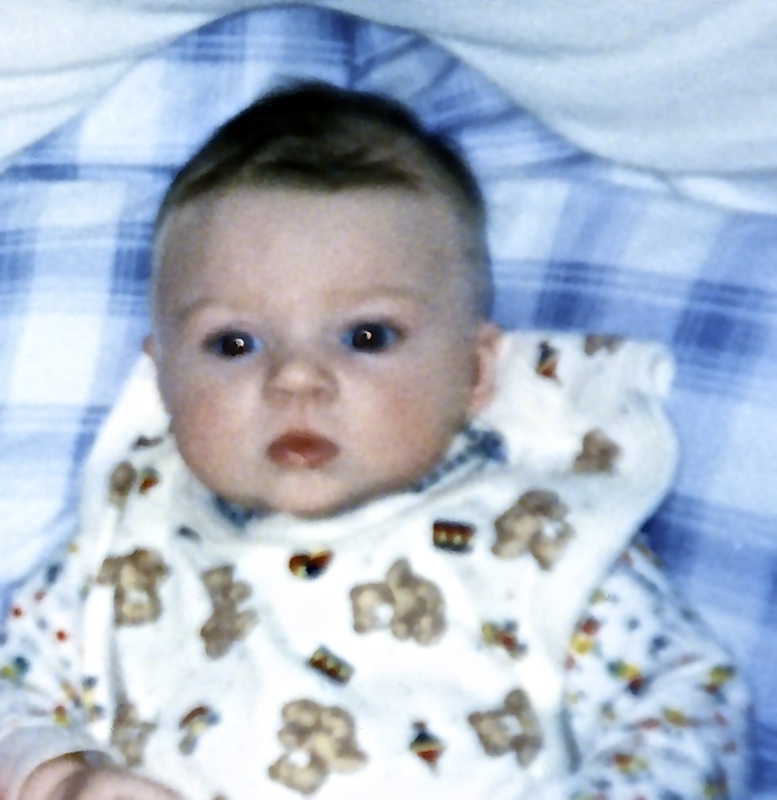 Our son Michael – ten days old in the picture – is married to Heidi. They have three children, therefore my grandchildren, Emily 20, Oliver 18, and Alice 14. I married Jackie in March 1968. Our children are Matthew (b. December 1968) and Rebekah (b. August 1970). Rebekah’s daughter Florence, now 17, is our shared granddaughter. This is where it begins to get complicated, as if it weren’t already. You may like to pause and take stock. Jackie and I parted in 1972 and each remarried some years later. I married Jessica in 1980. Our children are Samson (b. 1980), and Louisa (b. 1983). Jessica died in 2007. Sam is married to Holly. Their children are Malachi (almost five years) and Orlaith (13 months). Consequently these two offspring are my grandchildren. Louisa is married to Errol Thompson. Their two daughters are Jessica (almost 7), and Imogen (5). Two more grandchildren for me. 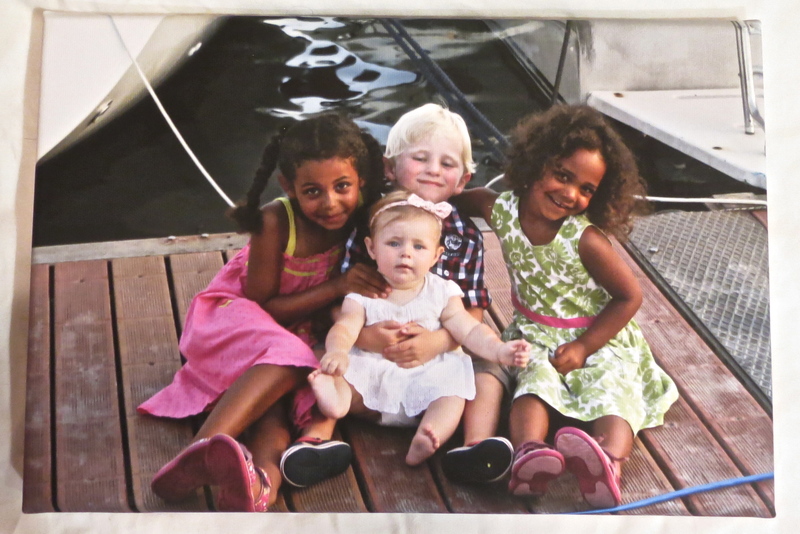 For Christmas the Thompson family gave me a framed photograph on canvas of the grandchildren I would have shared with Jessica. Jackie and I met again at Matthew’s 40th birthday party in 2008 and have been living together again since soon afterwards. On 17th October 2017 we remarried. This is merely a factual record. The events have been full of all kinds of emotions, both extremely pleasurable and terribly painful. This particular post is not the place for those. P.S. 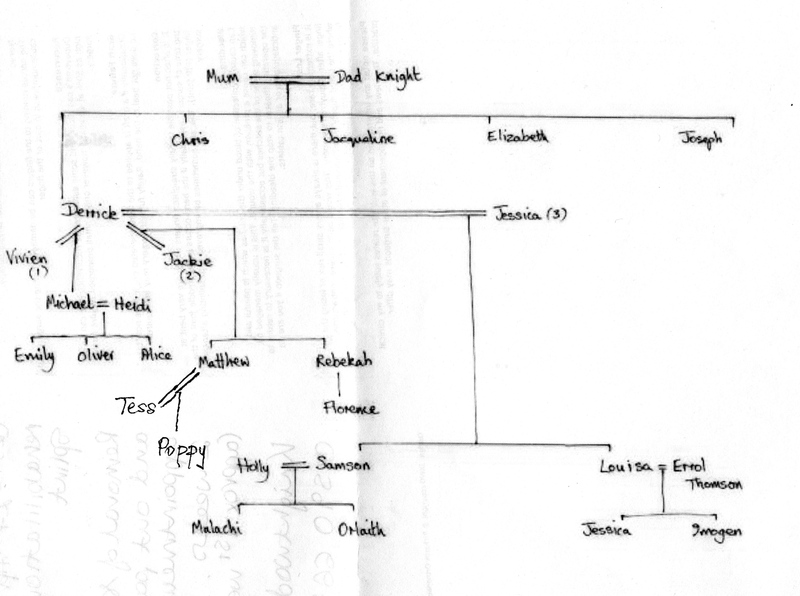 My far more intelligent friend Judith Munns has sent me this hand-drawn Family Tree gleaned from this post. This entry was posted in Uncategorized and tagged Family Tree by derrickjknight. Bookmark the permalink. 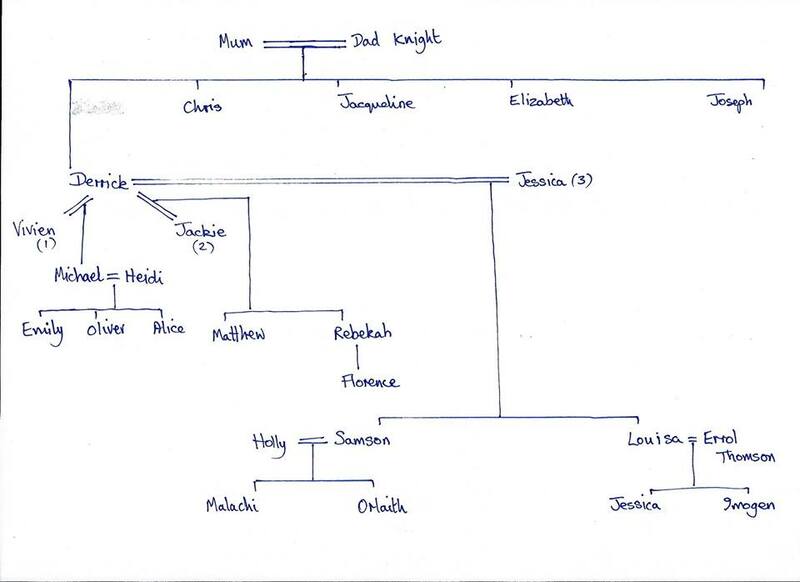 Thanks for the family tree, it makes it so much easier to follow your blog when you know who’s who, and their offspring. You haven’t been to France or London for a while, and how is the passenger door? Thank you, Jane, for the family tree suggestion. Sinusitis put paid to my last French visit. I expect the last batch of work to be finished soon, and will go then. Christmas suspended London visits. The next one will be on Wednesday. And a rambling legacy you leave! The sadness of your first wife Vivien is unspoken but palpable. The reunion with Jackie is laudable. There’s such a life story in here Derrick. Really fascinating stuff and your connections with the photos here makes me think back to the comments you made on a post I wrote not long ago about my forgetting. Glad you shared this and I can’t imagine the range of emotions you must have traversed while writing this. I can’t say I have digested all of that – but I CAN say that you have a beautiful family. All makes sense now and it’s what i’d guessed- that there was a big age gap between you and your younger brother (joseph). I love the pic of your’s and Jessica’s grandchildren. So many other questions – but I will stop being so nosey! What an interesting family tree, Derrick. and yes, I can see how interesting your life journey must have been. Derrick – this might be my favorite post of yours. I have to keep referring back to it – like the graph in the first pages of a complicated novel. I have just now come to understand that the Jackie of before is our same beloved Jackie of now. Bravo! I have a similar story. I am married to my high school sweetheart – after we both went off & married someone else. : ) Cheers to trying until it works! Loved the detail that has gone into the creation of this page Derrick.. a truly wonderful gift to pass along to family as they look back to see their roots.. So glad I came upon this post. You have a wonderful family with a fascinating history. I eagerly await your book. I have meant to read this for quite some while and I am so glad I have. No doubt I will want to refer back to it from time to time but for now I am clear enough. They never promise us a simple life, I don’t think but some, it must be said have more bumps and turns than others – I know this to be true! A pleasure. And it does. Thanks very much, Kelly. The Austrian ancestry must be intriguing. Is information retrievable? I hadn’t tried to access much further back. What was previously The Austrian Empire is now part of the Ukraine. I would imagine some further details might be available there. Looks like you have lived life to the fullest in spite of setbacks. You are the “Marrying Man,” Derrick! Thanks for the clarification, Derrick. I will no doubt get confused again in the future, but if I remember “Elizabeth, daughter and Jackie, partner and cook” I should make do. So many more people to keep track of thanks to blogs…. Thanks very much for all this, Brian. The first death was sudden, the second after 10 years with myeloma. Yes, I’ve had my share of devastation – but it helps to form us. I’m pleased to have found this post. It has answered questioned that I had had in the back of my mind. A fascinating read.